The 918CX is a high performance, compact and versatile 540mm by 360mm tunnel X-Ray screening system with exceptional image quality and excellent threat detection alert capabilities. Orion™ 918CX offers best in class spatial resolution providing exceptional image quality but it's small size make it an ideal solution for schools, hotels, convention centers and event-based security environments. 918CX now can exhibit images in the Classic 4-color and the new proprietary Spectrum 4-color (SP4) option providing superior image, allowing improved security by quick and accurate identification of threats and increase in throughput. Target and NARCScan are designed to detect a wide range of explosives and narcotics respectively in real time during the scanning process by marking a potential threat on the X-ray image. Rapiscan® Systems detection algorithms are based on regulatory approved material analysis techniques. This feature helps operators identify organics accurately and quickly either in Range Mode which highlights the areas based on selected Z-effective numbers of 7, 8 or 9 by the operator, or in Interactive Mode which gives the operator the option to display the Z-effective number in all the areas of the scanned item based on the value of the pixel. 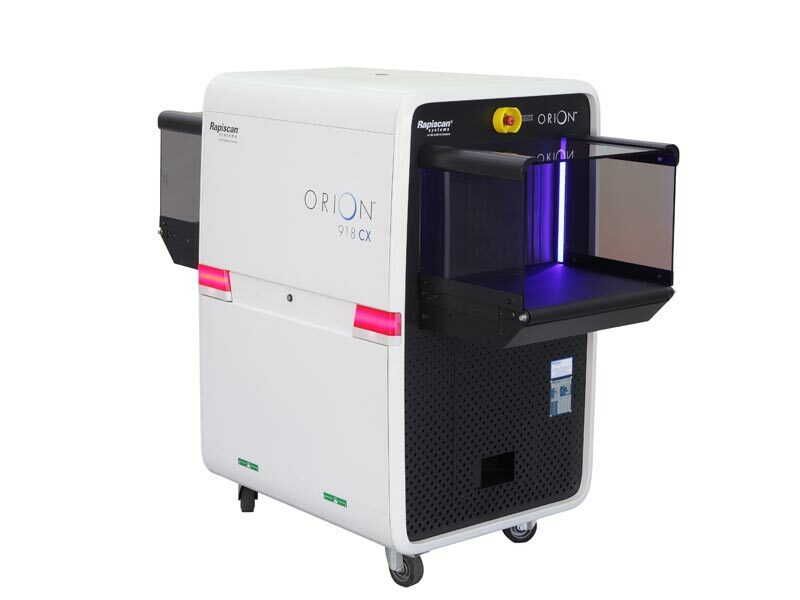 Orion™ family are the only systems in industry that can support both Range Mode and Interactive Mode. 918CX performance is in full compliance with the mandatory regulations (EC) No. 300/2008, (EU) No. 185/2010 and commissions decision C(2010)774 for aviation security in the European Union.